RDF’s mission has always been to serve the Hispanic and poor families alike and as part of that, we invest in schools that have high academic standards and educators that have the expertise and passion to educate underserved children and enable them to reach their highest potential. RDF provides financing to schools with innovative educational programs that are managed by individuals with proven leadership qualities. I was recently invited to the University of Notre Dame to participate in a think-tank discussion on forming a Catholic education leadership program. This gave me the opportunity to listen and share ideas with businessmen, educators and religious leaders from around the country on a subject dear to my heart, education. My experience at Notre Dame was extremely rewarding and while various points of views were discussed, a few major points of agreement were; the key role of the principal and the leadership skills they should possess. These skills include having a strong Catholic faith, managerial skills and most importantly, a passion in educating children. Discussions such as the one at Notre Dame, are one of the many forums taking place and are essential to the success of our children’s education because they produce innovative ways of thinking, in regards to educating the next generation. In this issue of VOCES, we look at different organizations and leaders who understand the importance of innovative education. Finding unique and informative resources have been increasingly important, as we move forward to a digital and ever changing world of education. Innovation in Education: Why is it Needed and Will it Work? The need for a quality education is acute, the road is long and hard, and millions of young Latinos are searching for directions so that they can earn degrees and find good jobs. The statistics are grim. The dropout rate for Hispanics age 16-19 is more than 21%, the highest of all ethnic groups, according to the Pew Hispanic Center. A quarter of Mexican immigrant children do not finish high school while 41% of adult Hispanics over 20 do not have a high school diploma, compared with 23% of blacks and 14% of whites. But there is hope. Innovation is happening in education. What is it? Will it help children learn? Will hiring great teachers result in good grades? Will these ideas help a new generation of Latino youngsters reach their full potential in multicultural America, and in an increasingly competitive world? In this issue, Voces interviewed educators pioneering these changes. We talked to two young Hispanics who, despite poverty, used determination to earn degrees and distinction in the workplace. Latinos working for American Honda and Intel, discussed how their organizations make education and career opportunities available. Latinas discussed the need for more women to become scientists and engineers. Voces also looked at schools which have gone beyond bilingual education by also offering Mandarin Chinese. A Phoenix pre-school teaching 1-5 year olds in Chinese, Spanish and English, plans to add Arabic. Latino parents with children in these schools said they believe kids fluent in key languages will be highly employable. Often, it takes a visionary leader to make innovation happen. The leader maps out the idea. Excited board members lend support. The idea energizes teachers to make a difference. Parents compete to get their children into that school. 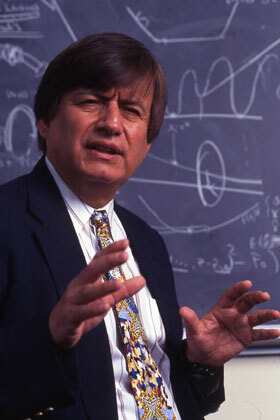 Richard Tapia, a mathematician who is director of the Center for Excellent and Equity in Education at Rice University in Houston, says that the need for fresh ideas and directions is so intense he gets at least one invitation per day to speak at public forums. Prejudice, Tapia said, is not holding Latinos back: the issue is a lack of graduate degrees and training affecting people from all ethnic groups. Wendy Kopp, CEO of Teach for America which has prepared 20,000 educators to work in underserved communities, says that TFA’s work shows that lack of educational opportunity robs kids of success, not socio-economic background. “We live in a country that aspires so admirably to be a place of equal opportunity and yet somehow we have the reality that 13 million kids who grow up below the poverty line, are by fourth grade already three grade levels behind on average,” she said in a recent interview. Half will not graduate from high school. Those who do will have eighth grade skills compared with kids in high income areas. Only 1 in 10 will earn a college degree. 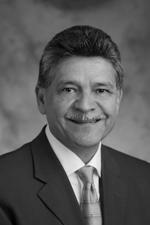 Robert Carreon in McAllen, TX, runs a TFA corps of 130 teachers working in 12 school districts. There are 400,000 students in the Rio Grande Valley. 80% come from homes where mostly Spanish is spoken. One in three have “limited English proficiency,” according to the Texas Department of Education. Before TFA arrived in 2003, Carreon said, teaching was done in English. TFA designed a bilingual program designed to graduate students fluent in English and Spanish who will use those languages in college. Command of two languages is a plus in job hiring, he said. A second part of this innovation trains students to be leaders. Judith Camacho, executive director of the Society for the Advancement of Chicanos and Native Americans in Science (SACNAS), said that career opportunities are virtually unlimited for young people graduating with STEM (Science, Technology, Engineering and Math) degrees. Alexandra Warnier, manager of the American Honda Foundation, says it has focused on encouraging STEM education for the last 25 years. Eighty three percent of the Foundation’s giving has been to minority children, and there is a specific program – the Hispanic Youth Symposium Institute in Los Angeles – dedicated to educating Latinos and, if possible, hiring them. 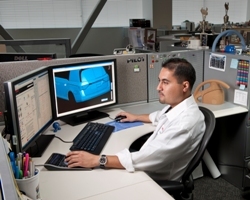 Jesus Chavez, 32, works at Honda in Torrance, CA, as a stylist designing the outer skins of Honda vehicles. His family emigrated from Michoacan, Mexico. He grew up in a rough Los Angeles neighborhood. How did he earn a mechanical engineering degree from Cal State Northridge, despite the odds? He took out loans. He tutored kids in math. He worked construction. He engineered his own future. In 2007, he went to a job fair, applied at American Honda. He was soon hired. It amazed him, he said, that he had won what he wanted. The need for innovation and improving the future of young Latinos is also apparent to the Raza Development Fund. Mark Van Brunt, RDF’s Chief Operating Officer, said that lending for education has been expanded to include parochial schools, and all schools public and private, as long as they are not performing below district standards. The Fund has provided financial support to more than 100 charter schools in the last 10 years. A contract has been signed, he said, with the Saint Anthony School in Milwaukee, where 99% of the 1,500 students are Latino, and 50% of those are first generation immigrants. Another contract, with Saint Joseph’s High School in South Bend, Indiana, using new market tax credits (NMTC), will finance construction with the understanding that the school will send at least 200 students to Notre Dame University in the next decade. Both contracts call for regular review by RDF of school performance. In addition, Van Brunt said, RDF is creating a Latino school leadership fellowship program which will send aspiring educators to the finest universities for training. Good leaders mean better opportunities for school children. “To lose a child and the opportunity to advance often sets that child back several grades for the rest of that child’s school career,” he said. Paul Brinkley-Rogers is a former reporter for Newsweek, The Miami Herald, The Arizona Republic, and the Phoenix-based Spanish language newspaper La Voz. He was a member of The Miami Herald’s reporting team that earned a Pulitzer Prize for coverage of the highly emotional child custody dispute in 2001 over Elian Gonzalez, the little boy who survived the sinking of the boat bringing him and his mother from Cuba to seek a new life in the United States. Paul won the Overseas Press Club’s Malcolm Forbes award in 2002 for writing about the economic and political turmoil in Argentina. Sometimes innovation comes in the form of one person, in this case a young woman of Mexican immigrant parents in East Los Angeles who once sold clothes in the back alleys and against all odds, became a professor of mathematics at Arizona State University. Fierce determination and will power enabled Erika Tatiana Camacho, 36, to accomplish what is still the extraordinary for a Latina which is, a cherished and coveted career at the highest level in the sciences. She innovated. Her family did not have a computer so she wrote her application to prestigious Wellesley College in longhand. “I said, ‘I am very sorry. I know the instructions said to type (the application).’ At the interview, they told me the letter tugged at their heart. “When I was at Garfield High School,” Camacho said, “I did not know how poor I was. I had holes in my shoes.” When she arrived at Wellesley, an East Coast school for women from wealthy families, she quickly discovered that she had come from poverty. Everything was stacked against her, she said. But the fact that she went on to Cornell University to earn her doctorate degree, shows that despite the racial prejudice she encountered, despite the gender prejudice, despite the jeers and teasing because she was a Latina who dared to excel in a field dominated by Anglo males, it is possible to wage a personal battle and succeed. “I am the American dream,” Camacho said in a voice that was a mix of pride and humility. The story of what she had to overcome, and her desire for other Latinas to do the same “is a very passionate topic for me,” she said. “I was born n Mexico (Guadalajara). My mom was a house cleaner. She read a lot and was good at numbers. My stepdad was a janitor. I started working when I was 13 years old. I worked from 8 to 8 in the streets of Los Angeles. She was fortunate that the extraordinary math teacher Jaime Escalante was her mentor at Garfield High (http://garfieldhs.org/). Escalante’s efforts to show that inner-city kids could master calculus, was portrayed in the 1988 film Stand and Deliver with Edward James Olmos in the title role. Escalante, who passed away in 2010, saw Camacho’s talent and told her she was a perfect pick for Wellesley (http://web.wellesley.edu/web). But all that opposition, often from friends and family, “made me want to show I have what it takes. All of us (Latinas) can be engineers. It takes hard work to do it.” Good grades meant that Camacho won fellowships. Her first employers paid off her student loans. She also had to deal with lukewarm support, and hostility, even at Wellesley for her selection of mathematics as a major. “I got an A- in two math classes. My mentor there said ‘You are not PhD material. Be happy with your BA and teach.’” A professor would not write a letter of recommendation for her to go to graduate school, even though MIT invited her to deliver a lecture. “Many times I called Jaime Escalante to tell him about these experiences,” she said. At one point she was treated by an Anglo nurse who claimed angrily that Camacho had used her ethnicity to “steal” a slot at Wellesley. “Because of people like you, my daughter did not get into Wellesley,” her accuser declared. She is a frequent speaker at conferences where there are workshops urging young women, and their parents, to be interested in science and technology. The U.S. National Security Agency has given her an award issued for guiding undergraduates in research. She started a summer program at Loyal Marymount University in Los Angeles for 16 students showing a potential to study in the sciences. When she is not teaching as an assistant professor of mathematics at the New College of Interdisciplinary Arts and Sciences at Arizona State University, she is doing research in the interface of mathematical applications to biology and sociology including transcription networks in yeast, interactions of photoreceptors and fungal resistance under selective pressure. There is something energized and determined about parents whose children attend Starr King Elementary School in San Francisco. “Why just be bilingual? Learn three languages,” says Michaelia Szarnicki, whose half Cuban, half Ethiopian children are experiencing five hours a day of Mandarin Chinese immersion, which includes math and other classes taught in Chinese. Five years ago, Star King (www.starrkingschool.net) was on the verge of closing because of declining enrollment. But after Mandarin was first introduced in kindergarten in 2005, parents competed to get their children into the school. Enrollment more than doubled from 151 students to 386 today. Two thirds of the students are in Mandarin immersion, and Latino children are 10% of the total, said Principal Greg John. Twenty-one San Francisco elementary schools have similar programs. Plans are being made to bring Chinese immersion to middle schools, and then to high schools, so that those who start in kindergarten develop real fluency. Another Starr King parent, Maria Esquivel, is a medical assistant who came to the USA from Guatemala in 1986 when she was 11. Her husband, Nelson, is a tow truck driver from Cuba who came to the United States in 1989 when he was 15. Their daughter, Jade, a 5th grader, has been learning Chinese since kindergarten. Luz Esquivel, who is from Morelia, Mexico, and who is a bakery cashier, is scouting Starr King for her two sons. “I want a piece of that school for my children.” She said. “Learning Chinese is difficult, but it makes children smart. I have seen it with my own eyes. My neighbor’s kids – Mexican like me - caused a sensation when they spoke Chinese” to waiters at a Chinatown restaurant. Another Mexican immigrant parent, Jorge Baca, said he supervises his daughter Carmen, 5, who is already practicing writing Chinese and hopes to attend a school near Starr King. 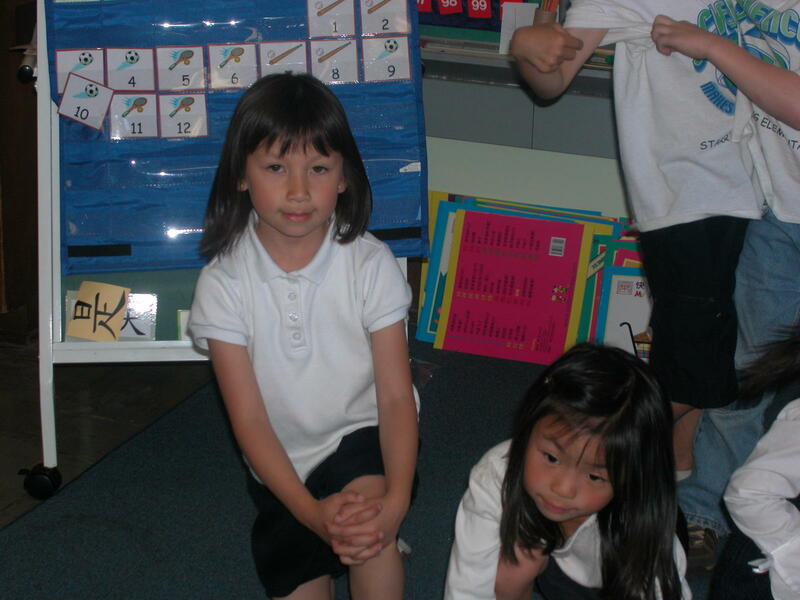 Parents in the Bay Area whose children are taking Mandarin (Cantonese immersion also is offered at three schools), are well organized in the Mandarin Immersion Parents Council (http://miparentscouncil.org). Their website is a place where parents can exchange information and view videos filmed by proud moms and dads. Elizabeth Weise is Council President. Her husband is Chinese-American. Their daughters Eleanor and Margaret are in 5 and 3 grades respectively at Starr King. At the end of this year, 240 students in six grades – K-5 – will be in Mandarin immersion, she said. The rapid shift to studying Chinese has changed the character of Starr King. The school is in the lower income Potrero Hill district where many residents are Latino or black. Carmen Cordovez, from Quito, Ecuador, has a son, Sebastian, in kindergarten, and a daughter, Isabella, in 3 grade. At home, she speaks only Spanish to her children. Her American husband speaks English at home. Her kids are, in other words, learning three languages at the same time. “My daughter told me she wants to learn Chinese. I said, ‘Mija…it’s too hard.’ She said, ‘Papi. You came to this country. That was hard, but you did it. Let me do this.’ When she said that, it made me proud” said Baca. The National Center for Education Statistics says there are 98,800 public and 24,500 private schools in the USA. There are 81.5 million students: 37.9 million primary, 26.1 million secondary, and 17.5 million in college. One in four kindergartners are Latino. One fifth of K-12 students are Latino. The numbers are growing fast. Student achievement remains troubling. However, some schools have imaginative programs with inspired leadership and teachers. The curriculum and the homework are demanding. The children do well. Their grades are high and parents with a passionate interest in their children’s future seek out these schools. Often there are waiting lists. Voces chose to look at two charter schools and one private school where the vision is strong. The Equity Project (TEP) is a publicly funded, privately run charter school in Manhattan with 15 teachers and 247 students in grades 5-8. It was started in 2009 by a then 32-year-old Yale graduate named Zeke Vanderhoek on the theory that excellent teachers are critical for success: not small class size, talented principals or technology. Great teachers, hired from across the USA, have meant that grades are up. But not all great teachers are prepared to teach school in trailers in an inner city neighborhood where poverty exists. Retaining teachers remains an issue even though the base salary, $125,000 per year, is twice that of New York City public schools. TEP (http://www.tepcharter.org), which operates from a series of trailers painted red, is not going to cut and run, however, Vanderhoek says. It (TEP) is only $3.5 million short of a $28 million capital campaign to build a permanent facility. TEP ranks in the top 1% of New York area middle schools. It ranks especially high in safety and respect. In areas of student proficiency TEP is still behind: 55% show proficiency in math, up from 30% in the first year. Only 30% show proficiency in English skills. Some 88% of students are Latino immigrants, from the Dominican Republic and Mexico and the remainder are African American. TEP is using Latin and music in an attempt to boost language development. Parents clearly love what the school is doing. There is a long waiting list and openings for students are decided by lottery. 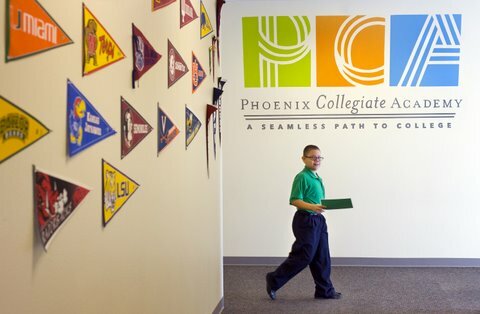 Like TEP, Phoenix Collegiate Academy (PCA), a back to basics charter school, is housed in temporary space: a 22,000 square foot former bowling alley and thrift store. PCA (http://phxca.org) had exceptional first year results in the 2010 AIMS exams given by the state of Arizona. Some 69% of students passed in reading, 63% passed in math – including 28% who exceeded standards, and 65% passed writing. Latinos are 81% of the student body. The school was founded in 2009, and is presently serving grades 5 through 9. It will grow one grade per year until it adds 12 grade. Akshai J. Patel, managing director, said students “have to be willing to develop the ability” like the school “to do innovative things.” Patel, like Rachel Bennett, the school’s founder, is an alumnus of the inspired education approach of Teach for America . Patel said that school staff still goes door-to-door to tell parents about PCA. “We knock on doors in areas around us starting in spring,” he said. The school encourages parents to become involved. Initial reactions from pupils is often that the school is “too strict, too hard, and gives a lot of homework.” Parents, accustomed to low performing schools in that part of Phoenix, appreciate that, however. BeBei Amigos Language School (http://www.beibeiamigos.com/) is a private school in Phoenix serving children ages 1-5 in toddler and preschool with Spanish and Mandarin Chinese language immersion programs. A second school – Arizona Language Preparatory – has been added, and is offering kindergarten. Plans are to add a grade each year through the 6th grade, enabling BeiBei graduates to continue to perfect Chinese and Spanish. Co-founder Emily Sheen said that the school has applied for charter school status, and it may soon add Arabic immersion so that when English is factored in this will mean that children will be using four languages. There is strong evidence that language training helps academic performance and in a child’s intellectual development. In addition, said Sheen, who is from Taiwan, children fluent in several languages will be true citizens of globalization. They will be prepared for a future like no other American kids. “In a foreign country, most students learn English,” she said. They grow up bilingual. But American students typically do not enter their working years with multilingual fluency. “We need to deal with what is going on in the world,” she said. Sheen has an engineering MBA from the University of Texas. The other co-founder, Sean Diana, has a MA in Education and is studying for a Phd at Arizona State University. BeiBei has 39 students. The director, Denise Ramos, is from Sonora, Mexico. Four teachers are Latina, three are Chinese. 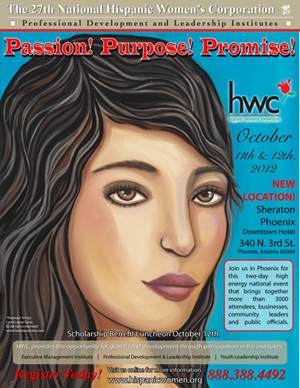 One of the highlights of the annual Hispanic Women’s Corporation (HWC) conference in Phoenix was a presentation titled Inspiring STEM Leadership. The key speakers were Gabriela Gonzalez, the Intel Corporation’s University Programs Manager in the Academic Programs and Research Office, and Professor Erika Tatiana Camacho, a mathematics professor at Arizona State University whose personal story is profiled this month separately in Voces. Camacho reminded the 40 young women in the audience that although there are many STEM jobs available, only 2% of those studying a STEM subject are Latinas. Latina mathematics professors are as rare as diamonds, it seems. She is especially involved since 2005 in Hermanas: Diseña Tu Futuro (Sisters: Design Your Future), an organization which has brought thousands of middle and high school students to Stem presentations. Gonzalez said there are several reasons that Latinas are not involved in STEM. “Part of it is because of socio-economic factors. Parents are a role model. Most parents usually come to this country and engage in lower paying jobs. Often, they themselves do not have a college education. These parents are not likely to be in technology fields. They had to make money to survive. Here and there, some organizations are trying to interest young women. Cecilia Hernandez of the American Chemical Society in Washington DC, is an immigrant from Cartagena, Colombia. She helps run the Society’s SEED Project which has involved more than 10,000 students – a small portion of who are Latinas – in summertime chemistry study. Judith Camacho, executive director of the Society for the Advancement of Chicanos and Native Americans in Science (SACNAS) said that 55% of the 4,000 participants at the group’s annual meeting in November were women. They appeared to be especially interested in biological sciences and medical schools, but not in chemistry, physics or math. Doris Roman, a Puerto Rican educator and engineer living in Phoenix who for many years has been working hard to connect Latinas with the sciences, said that something needs to be done on a national level to raise the level of interest, and willingness, to be a scientist or work in technology. Maybe churches could be involved, she said. Science should be part of the Hispanic community’s culture. Community Colleges could organize to attract more women. Politicians, community leaders, local organizations should spread the word and increase awareness so that parents also become involved. I Am the American Dream: Erika Tatiana Camacho PhD. Beyond Bilingual: Learning Mandarin Chinese. Science: Careers in Technology for Latinas. The late Cesar Chavez had many great words of encouragement for people whom he represented, and if you’re driving through south Phoenix on Central, going toward the downtown area, off to the east you might be able to catch a glimpse of a few of these empowering words on a mural at a local school. Fittingly, the school, which is located in an underserved area of Phoenix, is called Cesar Chavez Community School. Recently, a project that was sponsored by State Farm® and Raza Development Fund was completed and unveiled for the school’s Cesar Chavez Day celebration. Victor Mason, a south Phoenix State Farm agent, attended the unveiling of the mural, and for Mason it was yet another event he was able to attend in the community that he invests so much time and effort in improving. The State Farm office where Mason works is only a few miles away from Cesar Chavez Community School. Mason not only works in the area but said south Phoenix is the community that he calls home. Mason said he’s “embedded in the (south Phoenix) community” and it’s a community that he spends a lot of time in with his children. 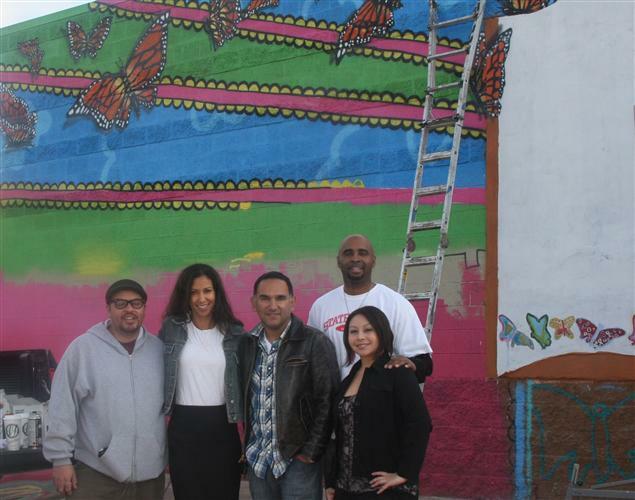 Due to district budget cuts, Cesar Chavez Community School has not had the means to have an art program for that past few years, and for local artist Gennaro Garcia, the mural was a chance for him to give back to the community by allowing some of the students to participate in the painting process. This student-artist collaboration has not only served as an art lesson but also as a way to instill pride for the community in the students. The community surrounding the school is indeed classified as “underserved” but in order for things to get better, it takes people who have the pride for their community to stand up for it and make changes. These children have been given this pride needed to make changes and for all parties involved, this is the biggest return on investment anyone could ask for. For Mason and Garcia, their ambitions for themselves include bettering the community and are achieved through their commitments to the people of the community.